With the Arnold Strongman Classic 2013 less than a month away the competitors have been busy bees, posting up some impressive training videos. We posted about Great British Deadlifters recently and were sad that we couldn’t share a recent video of Mark Felix. Cue this bad boy. Felix makes 462kg off blocks look like a warm-up! With Big Z out of the picture will anyone have what it takes to rival Mark? Derek Poundstone – considered a favourite for the Arnold by many – has been ticking along nicely, recently sharing this video of 206kg board presses on youtube. He’s already a powerhouse at the dumbbell so we figure this must be tricep assistance for the Austrian oak log press. Hard work and sweat isn’t enough for some ASC competitors. 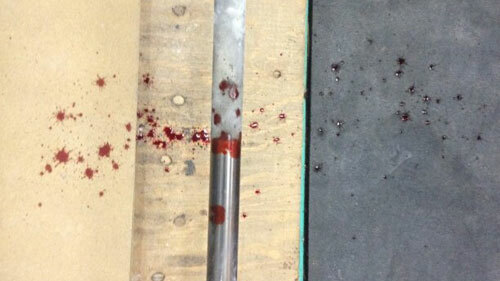 Brian Shaw posted this picture up to twitter following a deadlift workout. 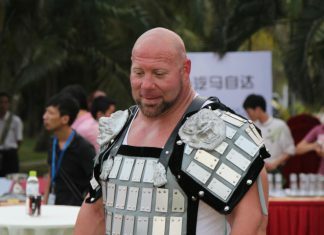 Shaw clearly means business after failing to podium at the World’s Strongest Man 2012 – let’s hope he is in top form and vying for the title. Who’s your favourite to win? Full competitor list and events can be found here.